The aspiration towards the Absolute was built into human nature and explains both the aspiration of the scientist to a universal knowledge and his own ambition to incorporate ever larger subjects into his painting as well as the Unanimism of Jules Romains and René Ghil's attempt at a poetic synthesis of the history of the Universe (a word that means, as Gleizes liked to remind us, 'the one that turns'). We might also be reminded of Picasso's horror of 'the whole of it'. But the Absolute could not be achieved by the ever greater accumulation of data concerning the outside world, by attempting to expand the relative to the largest possible size. The problem of the relation between Absolute and Relative was a religious problem. Relative and Absolute were inseparable, yet no amount of relatives could add up to an Absolute. Yet it is only in relation to the Absolute that the relative acquires its full human value. (28) The letter was almost certainly addressed to the Abbot of the Santa Maria de Montserrat monastery in Catalonia, which Gleizes had visited in 1929. I have it from the now dispersed Viaud archive. Gleizes's refusal of the thirteenth century in general and of Thomas in particular put him out of sympathy with the mainstream of twentieth century Catholic religious art, even when (as in the case of Eric Gill, greatly admired as he was by Coomaraswamy) it shared his rejection of the Renaissance and his emphasis on the manual crafts. Those who rejected 'the Renaissance' tended to turn (like the 'Pre-Raphaelites' before them) to the early Renaissance, the 'Italian primitives' of the thirteenth century. Two notable examples were the old 'Nabi' painter Maurice Denis and Gleizes's friend from the days of pre-war cubism, the Italian Futurist Gino Severini. After making a distinguished contribution to the wartime Cubist group gathered round Léonce Rosenberg, Severini had called for a return to what he called 'Classicism', a geometrically based art which respected fully the laws of single point perspective but aimed to renew with the purity and simplicity of the thirteenth century. 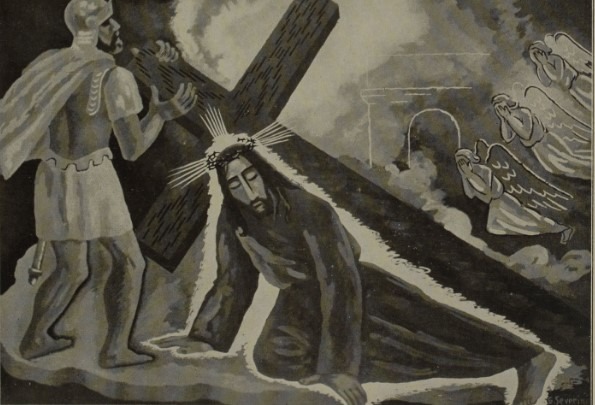 (29) Severini secured the enthusiastic support of the leading Thomist theorist, greatly admired by Gill, Jacques Maritain and was given many commissions for church decoration in the 1920s and 30s, especially in Switzerland and Italy. Denis in the 1920s had established the Ateliers d'Art Sacré, also arguing for a 'modern' approach to church decoration. Inbuilt into the proposal was a philosophical formation on the basis of Thomism. (29) Gino Severini: Du Cubisme au Classicisme – esthétique du compas et du nombre, Jacques Povolozky, Paris 1921. English translation, From Cubism to Classicism, Francis Boutle publishers, London, 2000, published together with Gleizes's Painting and its laws. In the introduction I argue that Gleizes's book, the first clear statement of his cyclical view of history, was written partly in response to Severini. (30) From a letter by Gleizes's friend Jean Chevalier to Gleizes, 27/1/1948, describing a 'bagarre' he had with Régamey at a major retrospective of Gleizes's work shown in Lyon in 1947. (31) Régamey: ‘A la recherche de la tradition’, Art Sacré, May-June 1948. (32) Quotation on Fontoynont from Paolo Prosperi: 'The Birth of Sources Chrétiennes and the return to the Fathers', Communio 39, Winter 2012, pp.641-62. 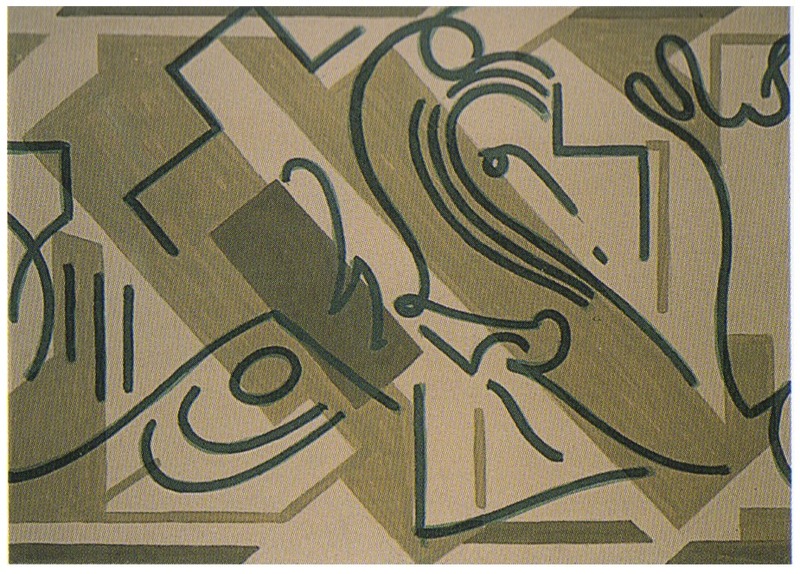 Quotation from Fontoynont from Henri de Montrond: 'Une Fresque de Gleizes réalisée en équipe à Chantilly "Les Fontaines" - Le Cadre', Atelier de la Rose, no 9, March 1953, reproduced in L'Atelier de la Rose, Busloup, éditions du Moulin de l'étoile, 2008, p.177. 'Gleizes said: "The modern movement brings us back not to traditions but to Tradition." Well, if we study primitive arts we see that they evoke the same principles. We find spirals and concentric circles at Gavrinis and New Grange, on the megaliths, on Chinese pottery or in Africa, as well as on the tympanums of Vézélay or Autun. That is the tradition which uses these signs that are inscribed in our humanity at its deepest level, but which have been more and more hidden from us through the imitation of nature. To the static nature of classical art the dynamism of the primitive arts stands opposed. Mobility and rhythm are essential in the earliest art because they show us life, and God is the Living, the source of Life. (33) Dom Angelico Surchamp; 'Je lui dois tout! ', in Dom Angelico Surchamp, moine et artiste, Issy-les-Moulineaux, Beaux Arts/TTM editions, 2012, p.40. It would of course be impossible to argue that anything like the change in state of mind Gleizes saw as the way of the future has been accomplished. But the present state of the visual arts is not so healthy as to prove definitively that he was wrong. Rookmaaker's book, fifty years old as it is, describes a malaise that is still with us. Unlike virtually any other period we can think of, the twentieth century, still less the twenty-first, seems to lack a coherent style, a coherent sense of purpose. There did seem to be a sense of a collective future, a collective adventure in painting prior to the First World War. Traces of it continued in the inter-war period but since the Second World War it just seems to have been one thing, one fashion, after another. We could celebrate this as an unprecedented age of freedom and variety but equally we could complain that it is going nowhere. It would, however, be difficult to point to any twentieth century artist with a more coherent sense of a possible direction for painting in relation to the whole of our intellectual life, than Albert Gleizes. His analysis of the problem we face is not a million miles removed from that of Rookmaaker. Unlike Rookmaaker, though, he proposed a solution.